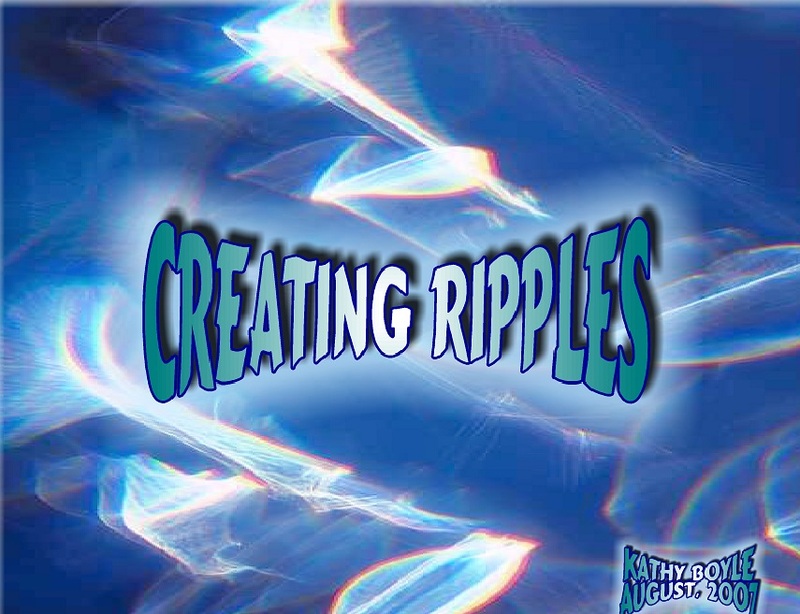 Over the past 7 or 8 years, I’ve created lots of little booklets. 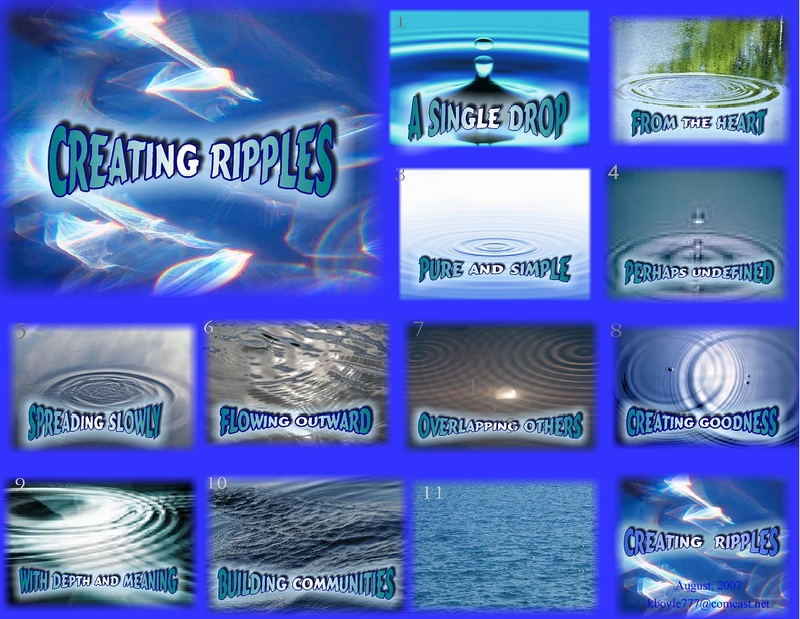 I’ve made the booklets in both hard copy and in a slide show format. 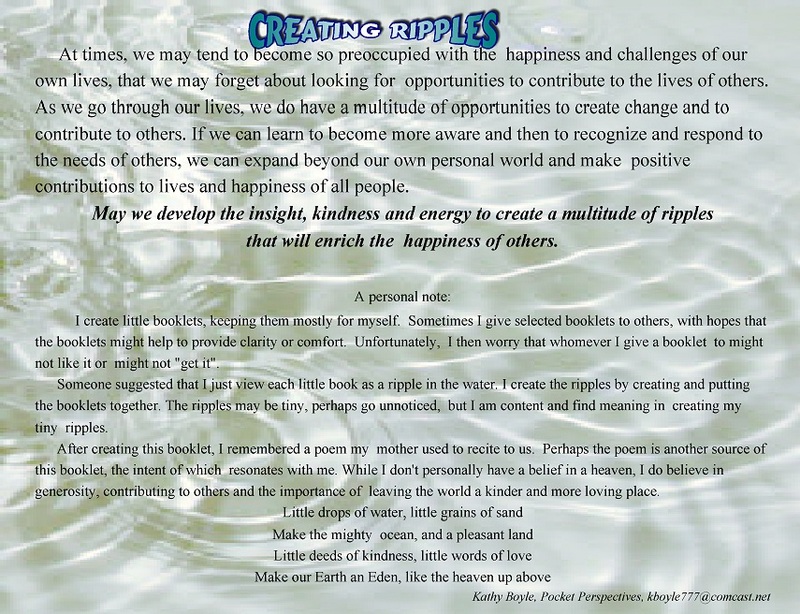 This booklet is called “Creating Ripples”…about being willing to extend myself and create positive changes in the lives of others, as well as myself.